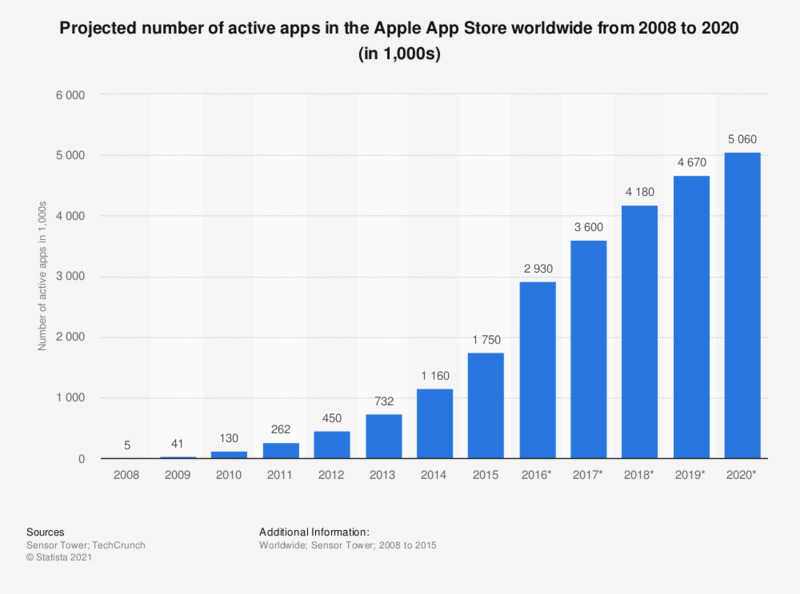 The statistic presents data on the projected number of active apps in the Apple App Store worldwide from 2008 to 2015 and a forecast until 2020. In 2015, the number of active apps in the Apple App Store was 1.75 million. According to the source, this figure is projected to grow up to 5.06 million by 2020.